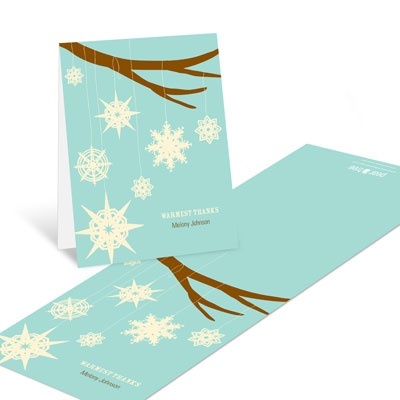 Some of the most thoughtful ideas we hear from our customers have to do with thanking others around the holidays. One mom we know encourages each child to choose an extended family member and write a thank you card to express their appreciation for that person, or for something they did that meant a lot to the child. Sure, there will be notes like “Thank you for the Legos you gave me last Christmas,” but thank you ideas have to start somewhere. If expressing thanks is something you want your child to learn, it takes practice. You can work thank you ideas into your family events, holiday traditions, and relationships with teachers and friends at school. The best part is that thank you cards always appreciated. Within this family, a thank you card from one of the kids always generated a note back in response, so the child would experience the joy of hearing how much others care about them, as well as the simple pleasure of getting a personal note in the mail. 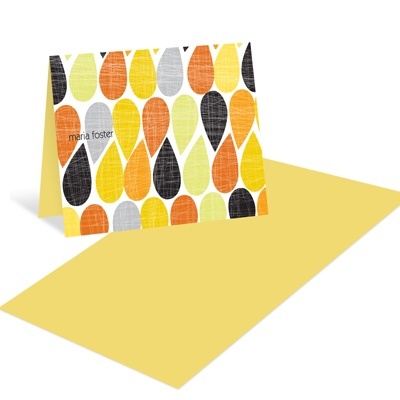 If you like this idea, check out our collection of thank you cards for Thanksgiving or for any time of year. For more Thanksgiving ideas, keep reading our blog.